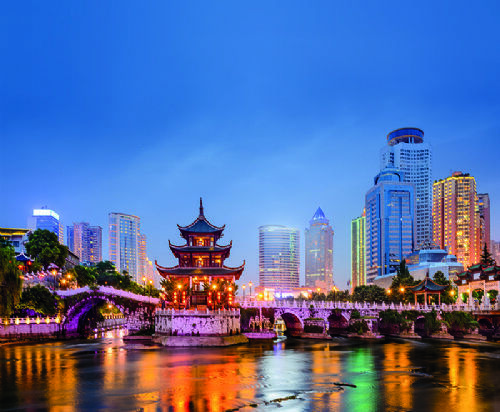 Students on the course will study initially in Guizhou, a major province in south western China and then will have the option of coming to Lincoln for the final year of their degree where they will join Lincoln’s BA (Hons) International Tourism Management course. The first 120 students on the programme will enrol at Guizhou University in September 2019. The international partnership was announced by China’s Ministry for Education. More than 1,200 educational institutions around the world submitted bids to run cooperative education programmes with Chinese universities and only 56 were successful. The University of Lincoln, through its Lincoln International Business School, is the only UK university chosen to deliver business courses as part of the initiative. Guizhou province has a population of more than 30 million people and a growing tourism industry. Guizhou University, known as ‘Guida’, is the largest university in the province, located in the capital, Guiyang. University of Lincoln Vice Chancellor, Professor Mary Stuart, said: “I am extremely pleased with our new partnership with Guizhou University, which will strengthen the bond between the University of Lincoln and China. Previous articleAre your bedroom walls keeping you awake at night?